The Anecdotes list “Alan Partridge” and “Chicken” as band interests on their Facebook page, so I knew even before listening to any music that I was going to like them. Luckily for the purpose of this review the music is first class too, so without further ado, and avoiding too many Alan Partridge quotes, let battle commence. 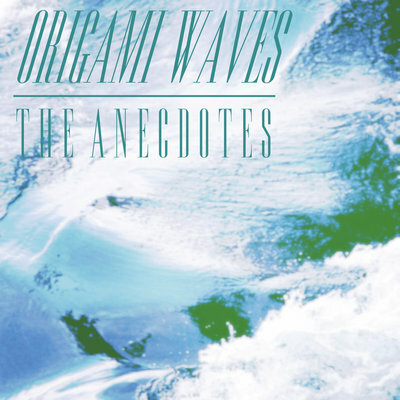 This four-track EP, entitled ‘Origami Waves’, showcases a good sample of the band’s sound with all four tracks offering something slightly different, whilst at the same time managing to stay on a familiar path. The title track kicks things off with a fairly catchy if slightly unsettling riff, before the vocals kick in to provide some normality. However, it’s not long before the frantic guitar playing returns, but despite their intensity these guitar riffs in the verse still manage to compliment the vocal rather than overwhelm it. Enter the chorus, and some welcome backing vocals to give the song a bit of a boost as the guitars take a seat further back in the mix, driving the listener through this part of the song along with the bass and drums. Second track ‘Kaleidoscope’ is like a cross between the staccato guitars of a band like Foals and a more serene performance reminiscent of the Editors. The guitars are at war throughout the song, but the vocals and melody provide the peace. ‘Fell Into a Dream’ changes the tempo of the EP, and is one of those songs which, if you were watching the band live, you’d probably go to the bar whilst still enjoying the accompanying soundtrack. Songs like this work well on an EP as a break between the more upbeat tracks, and there is enough in this song to provide more than an entertaining listen, especially as the song builds up nicely with the guitars becoming busier as the track progresses, culminating in a good instrumental outro where the bass and drums also play their part. The Anecdotes wear their influences on their sleeve, but that’s no bad thing give the impressive list of artists they say help to shape their sound. There are elements of Foals and early Cribs throughout the EP, but also the occasional hints of other bands such as Nine Black Alps and Kubicheck! (just me then), and on ‘Sepia Fields’ the lead vocal is something of a cross between one of The Cribs vocalists Gary Jarman, and Jimi Goodwin of Doves. The Anecdotes would definitely be an interesting band to catch live to see how the instruments interact with each other in a gig situation, but as with most bands at this stage in their evolution these early recordings usually give a good representation of the live show, and on the strength of this EP, this bodes well for the band. Needless to say, The Anecdotes will have the last laugh. James is a member of Liverpool/Warrington based band Sulking Dutchmen, check them out! The Anecdotes EP is available to buy on their bandcamp now!